I was saving this for a (literal) rainy day, and today seems as gray and dreary as any. 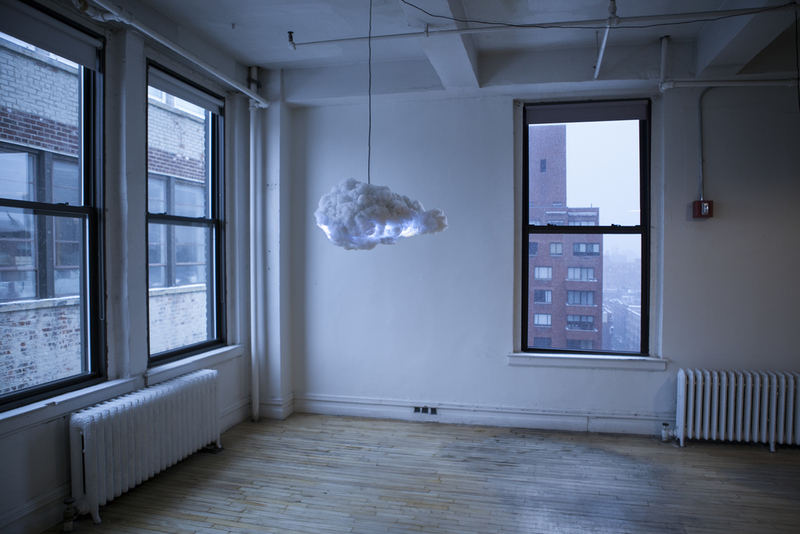 The Cloud, created by New York- and New Zealand-based Richard Clarkson Studio, is an interactive lamp and speaker system that mimics a thundercloud. 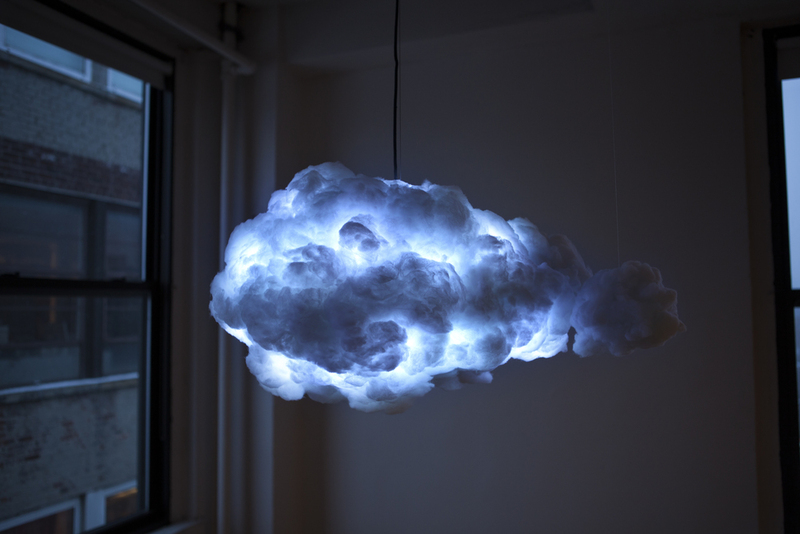 Using motion sensors, Cloud detects a user's presence and sets off a unique thunder and lightning show dictated by the user's movement. Color-changing lights and a nightlight mode can be controlled by remote, while the speakers are able to stream music from any Bluetooth-enabled device. 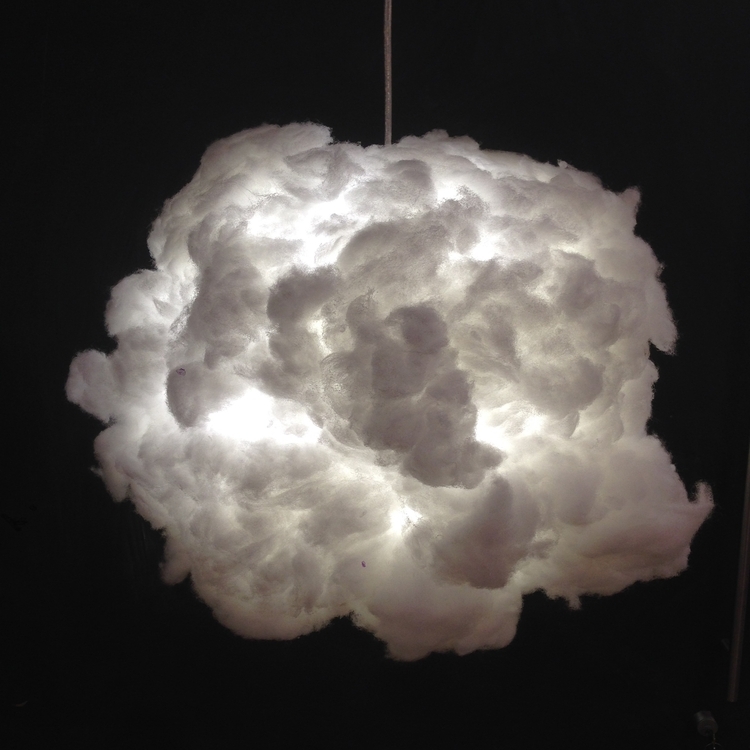 This ingenious piece can be had for $3,360, but an equally beautiful lamp-only version is a bit more attainable at $960. Click through to see a video of Cloud in action! wow! yes ideal for today's weather! That is such an insane creation! I've never seen anything like it.